"As the deer pants for the water, so my soul longs after you, my God. My soul thirsts for God, for the living God. When can I go and meet with God?" 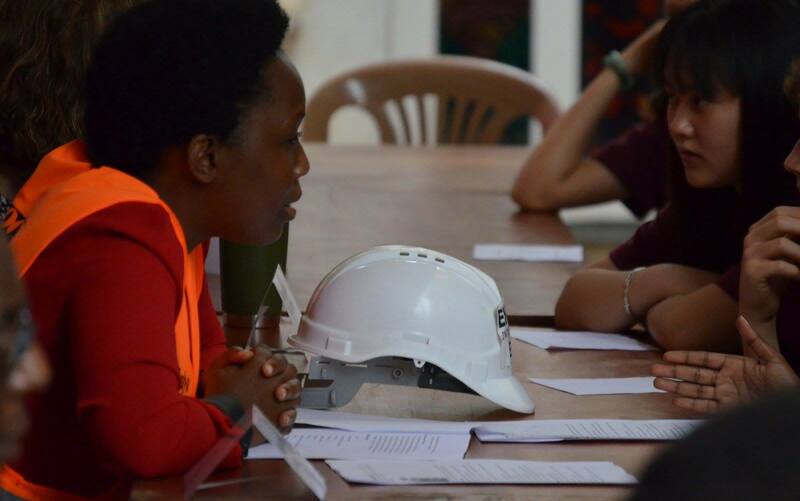 Earlier this year, Acacia International School, where Claire works, was made aware of some land that had become available. The school has been looking for an opportunity to build another campus for some time. This land is not far from Kampala and is enough acreage for the school to expand. There is also access to the lake, so canoeing and sailing may become lesson options the future! The top picture is a panorama of the land. A couple of weeks ago, a small number of parents and teachers went to visit the land and had the chance to view and pray for this opportunity the school has. In the centre of the land are two Acacia trees, which do not normally grow in that area. Please pray that if it is the right decision for the school to go ahead with this land, God will make it clear and He will make a way. At the foot of one of the Acacia trees. School life moves on fast. I can't really believe it's March already. This year continues to move on so fast. The School has had many recent events, activities and achievements. Each year, the children in each year group go on a spiritual retreat for a few days to connect with each other, spend time listening to God and also have a lot of fun. At the beginning of the year, James joined the Grade 10 and 11 retreat as a leader. 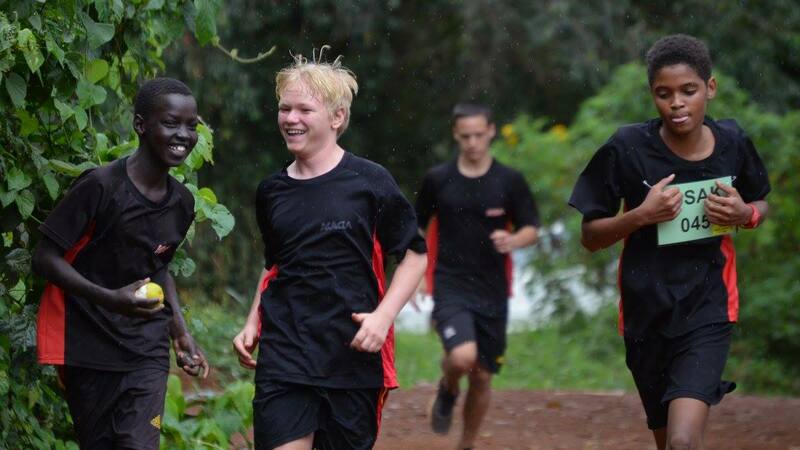 Acacia hosted and participated in an inter-school cross country running competition, in which many of our students did well. We also sent teams to participate in the Tournament of Minds, a Science and Sociology competition. Ruby's team won their section of the competition. The senior school held a careers week where teachers, parents and local professionals spoke about their work and the subjects required. 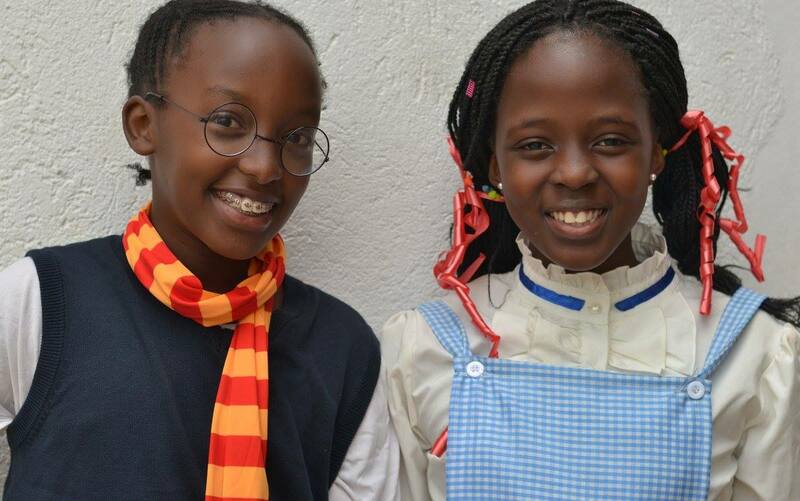 International Book Day was another fun event where students and teachers dressed as their favourite book characters. My headship studies are almost at an end now, which is a huge relief as the last 18 months has been a lot of work and has taken time that I did not really have available. The school accreditation process is upon us in April, which has also been a massive amount of work for all staff. We hope and pray that the inspection will go well. In amongst all the demands life puts on us and the stresses we face, I have been reminded how much we have to lean on God and how that is the way we are designed. I pray that each of us can thirst for God as the psalmist says. 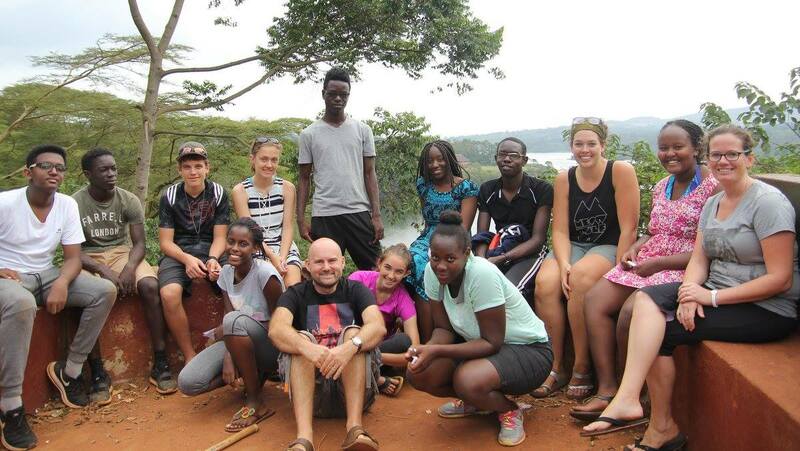 Grade 10 and 11 retreat in Jinja. Bible study on the retreat. Senior school cross country. It was Jessica's turn to bathe in the satisfaction of winning this term. 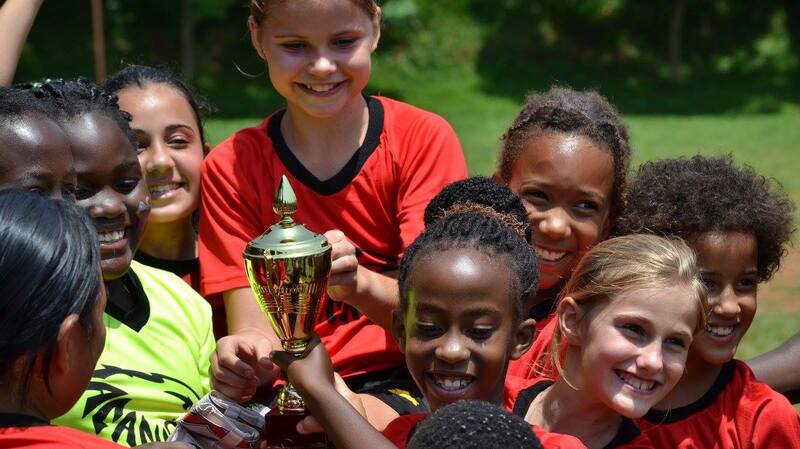 The Under 11 girl's football team won the league after an evenly matched final and a tense penalty shootout. 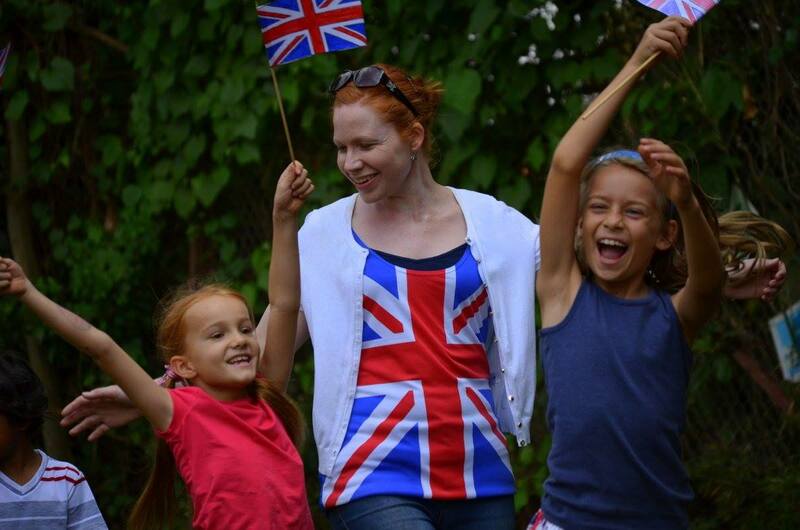 The girls were all delighted (as were the parents!) and had ice-cream to celebrate. 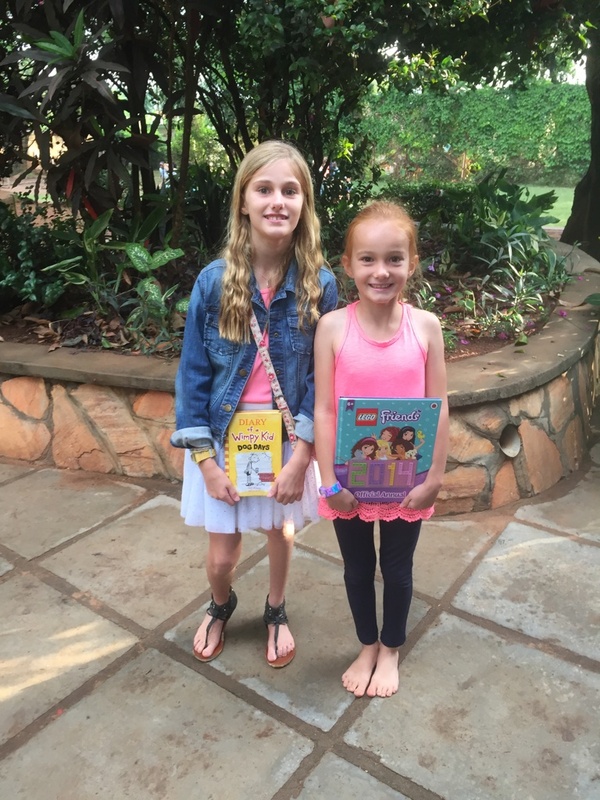 The girls enjoy participating in many school activities and hobbies. Florence's violin playing is going well and she has made some wonderful pieces in pottery club. Jessica and Ruby both learn the piano. They play in very different styles but each has fun with the music they play. At one moment, the utterly bizarre nature of what we were doing hit me. We were outside in the dry heat of the middle of the day, skinning a rabbit, which was hanging from a tree. Emily and I were working with a member from the group to demonstrate humane, effective slaughter of rabbits and butchery. This was not something that would go down well with my old clients back in the UK, whose rabbits were loved pets, not animals for meat. 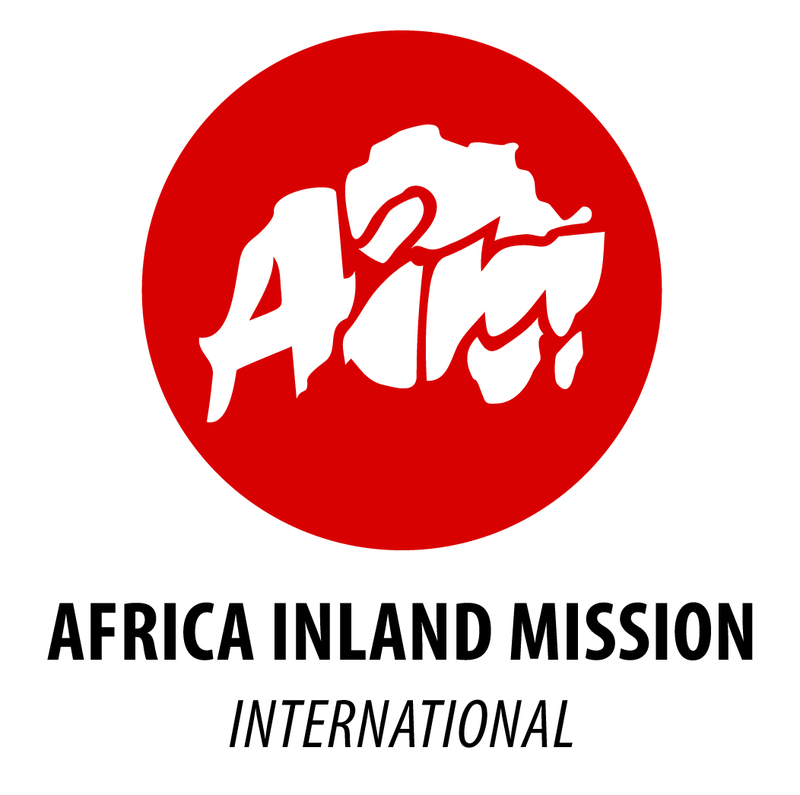 AIM has two teams working in the region of Karamoja in northern Uganda. The Karamojong are the poorest people group in Uganda and have a long history of dependency on foreign aid. The team leaders in Moroto, Lyle and Ingrid, had asked us to help with a livestock project with some lay readers being trained at a local church training centre. These members will be leaving the centre to disperse to different areas of Karamoja, supporting churches and spreading the gospel. The pastors (and lay readers) in many regions have very little in the way of a stipend and often struggle to make ends meet. The aim of the rabbit project is twofold. One: to help give them an additional income stream or source of protein for them and their families and two: to equip the members with livestock knowledge that they can hopefully pass onto others. Emily and I had asked two final year students, Nelson and Isaac, to accompany us on this trip to expose them to what veterinary missions work looks like and to inspire them to use their skills to help others. We used an MAF flight to get up to Moroto and for Isaac it was the first time he had flown. He enjoyed it, thankfully! Lyle and Ingrid had arranged for the rabbit training to take place at the church centre and additionally some members from the local agricultural research station were also invited. Some of these were previous vet students of mine and it was great to see them again. The training started with the bible, looking at God's plan for creation and our responsibilities to care for the animals. This set a good foundation to build on the rest of the information. We had asked Nelson and Isaac to prepare some of the topics and they did admirably teaching a crowd of people. Topics such as the benefits of rabbit keeping, rabbit feeding and housing were covered. Then came the main point of interest! We had brought three large rabbits from Kampala and these were to be used for the slaughter and butchery demonstration. The participants were very interested in the whole process and we involved some members in the meat preparation. The meat was then cooked and we were able to eat it as a meal at the end of the day. The next step in this project puts the onus on the members. Now they have to source materials and build their own houses. We will return, when they are ready, with some further training on health and reproduction. To each participant a pair of rabbits will be given. The members have the responsibility to give back two rabbits to the project in the first year, making the project sustainable to impact more people in the future. The team in Moroto will encourage and monitor the group in this process and refer to us if there are any problems. The project has worked well in other areas and we are excited to see how things go. We have already heard from one member that they have completed their rabbit house! 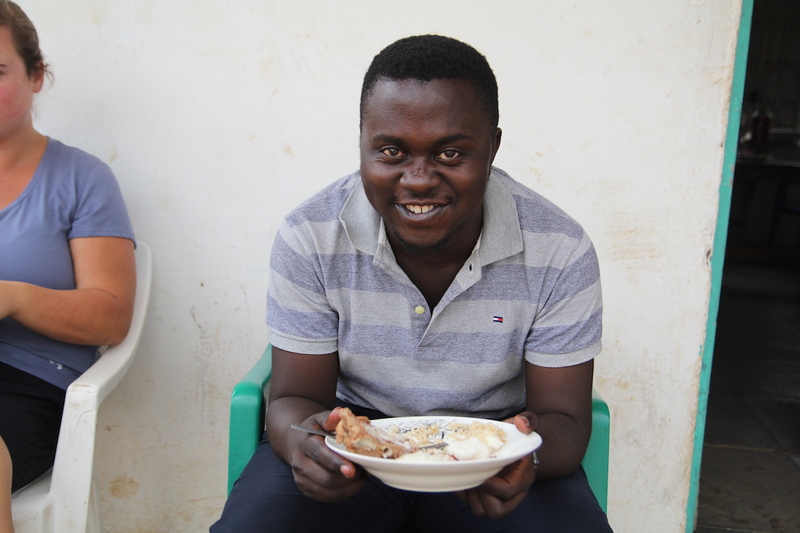 During our time in Moroto, I was able to have some really good conversations with Nelson and Isaac about life and faith and they asked if we could meet regularly to share. For a long time I have been praying for this type of opportunity and now we have met with a small group of the vet students twice now at the vet school. I pray that God will use these times to encourage these young men in their Christian lives. 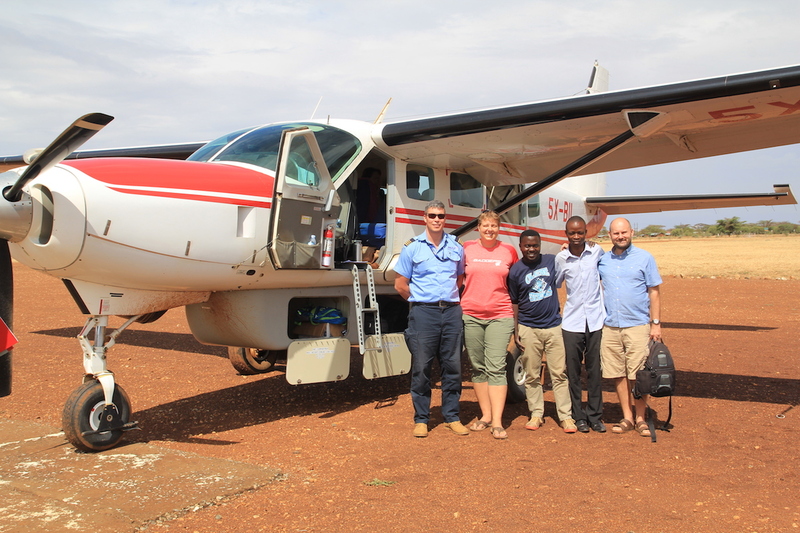 Our transport up to Moroto with pilot friend Matt. Nelson enjoying his rabbit dinner. Pray for the school and for the future plans regarding the land, that resources would become available to expand in this way, without impacting the current quality of the school. Pray for Claire as she faces her last few weeks of study and the countdown to the school inspection. Praise God for the successful rabbit training and the encouragement of the students wanting to meet for Bible study and mentoring. Pray for the church we attend as it goes through leadership changes. 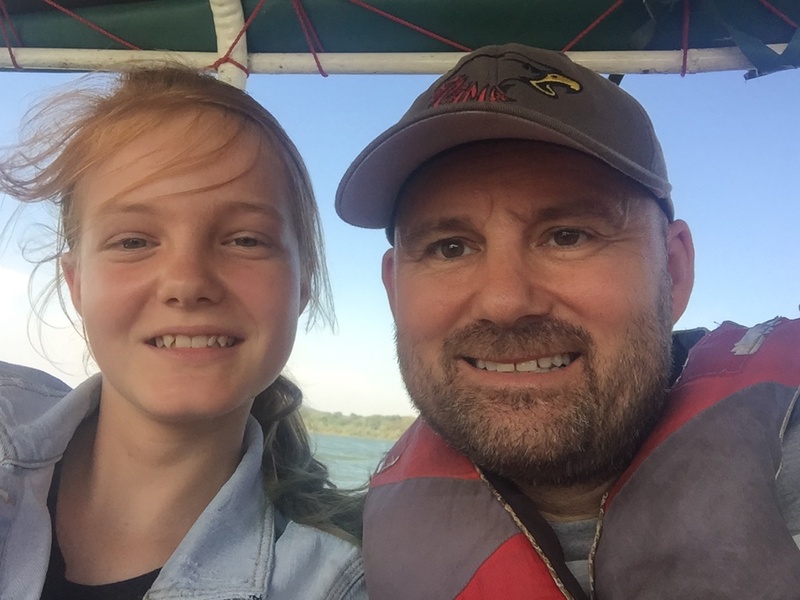 A boat ride on Lake Victoria. Copyright © 2017 AIM International, All rights reserved.